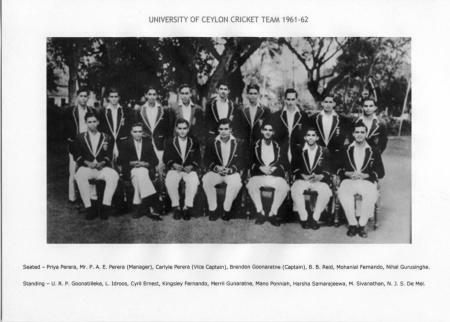 The Colts, University of Ceylon, N.C.C. and S.S.C. played each other once in the finals. I am not sure as to the venue of the Colts game against the S.S.C. but the last two games of the season were played at Havelock Park. The Colts started off badly losing by an innings to the S.S.C. but subsequently beat the N.C.C. convincingly (See below). While Darrell wasn’t economical against the S.S.C. 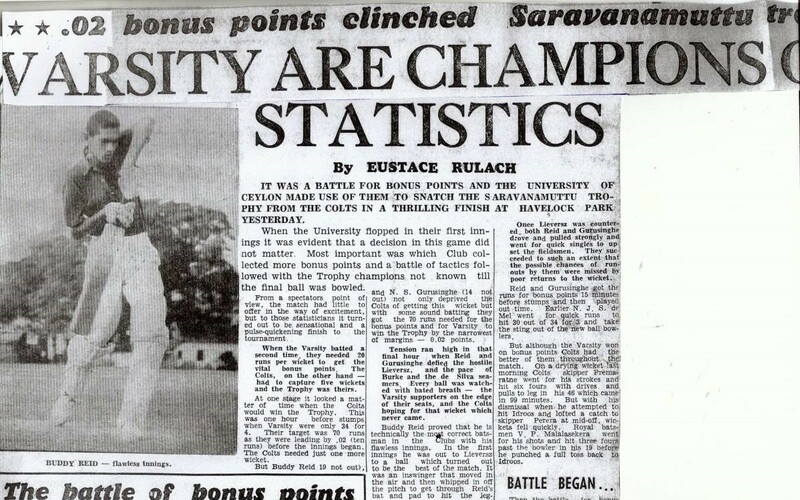 (5 – 78) he fared much better against the N.C.C. (6 – 45). The S.S.C. subsequently lost to Varsity on the latter’s matting wicket. The Varsity now took on the Colts who had been no match for the S.S.C. You are currently browsing the archives for the Sara Trophy Cricket category.